This topic contains 156 replies, has 60 voices, and was last updated by Fero 1 week, 5 days ago. Great news! But please don’t leave us hanging. Yes, I found with that power limit setting off (Civiltop air/tbook air) was the first, it doubles the iGPU performance. Please let us know how to do this? My guess is a bios edit and flash? Would love to do this on the Cube iwork 5X I just got. Please support us and help keep TechTablets online. Affiliate revenue is used to pay for the server, studio apartment (Techtablets HQ) and buy new tech to review. Without it, this site would be dead. I was trying myself to get XTU to work or throttlestop. Because on the Core M3’s its easy using XTU and as long as the thermals are good no harm in upping the power limit. I also remember there was a bug in some N3450’s that coming out of sleep they had no TDP Limit or the limit went to 10W. Okay got it working, thanks so much pointing me in the right direction. More on this tomorrow and how to do it as it’s super late here. But I took my iwork5X from 57 FPS HL2 lost coast benchmark to 79 FPS with the power limit tweak. Temps increased as expected. But just the same boost as the Civiltop Air boost. I made an .exe which should raise TDP limit to 10W. Put .exe in a new folder as it will generate a few files. The 6W TDP limit comes back after restart or after sleep, but this can be easly solved. 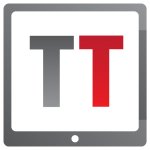 offtopic: Throttlestop is an great app, I used it on all my laptops, it really unlocks laptop potential, also great for undervolting. Author said it will add Apollo Lake support in the future, but now its summer and he has other things to do. I don’t like waiting 🙂 No it’s mainly because you reminded me of this info I was looking into. Please zip the file and then you can attach it. exe files can’t be uploaded for security reasons. Thank you. Looking forward to testing it. Btw latest test, 91 FPS in the benchmark, up from 57 FPS. Very good increase! Remember to set GPU setting to max performance. I hope throttlestops does get Apollo Lake support, that would be great. 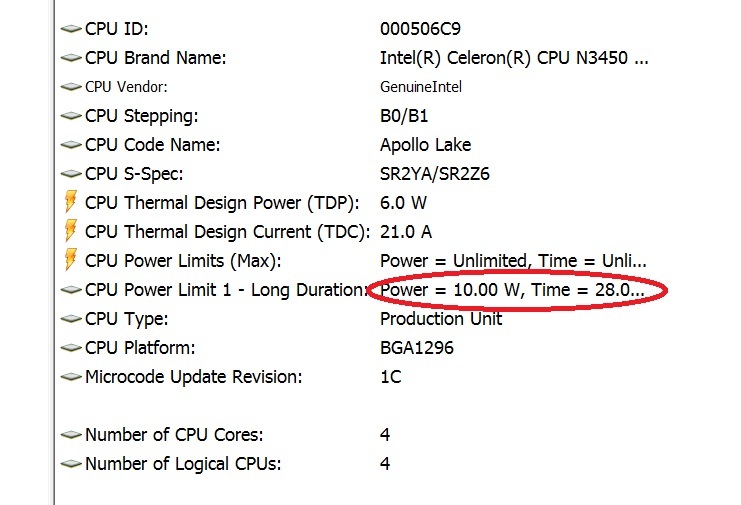 This is awesome just the breakthrough we needed for the Apollo Lakes, now every one of them can run like the Tbook Air with higher limits. Just make sure you do it on an Apollo Lake with a decent copper heatsink. For example the EZBook 3 Pro, Onda Xiaoma 31,21, Cube iwork5x and Tbook4. Not recommended on the Lapbook 12.3 and 14.1. These don’t have copper heatsinks and thermals will get too high! Thanks for now I’m happy with 10W, on the Cube i33 or iwork5X after 10 minutes of gaming 75 degrees C, which is very good. But it does have a large 1mm thick heatsink. If I was to add a thermal pad between the copper heatsink and the rear case I think it would lower a good 5-6 degrees more. So maybe I could get away with 15W. Now I’m going to try this on the Onda Xiaoma 31 Pro Apollo Lake Pentium N4200, see if it works. That CPU is a bit faster and with this mod might reach some really good FPS levels with its extra 6EU cores on the GPU and extra 300Mhz on the CPU! Guys, please all post your results here! This is a great switch for those that want to run that Intel GPU at full clocks and be able to play some light games like CS:Go with 60 FPS instead of 30FPS. This is great information, thanks to the OP and Chris. Confirmed working on the Chuwi Lapbook 14 old revision. No worries about thermals, I modded it with a heatpipe and some other stuff a few months ago and thermals haven’t been a problem ever since (76 degrees Celsius after three hours of Prime 95 stress testing). Ken, no I don’t think so as once you reboot the edit is gone. You need it to be saved to the bios.